For The Last Jedi, I had a reaction similar to Hal 9000, and his Legendary edit was the most in line with what I wanted to see. It smoothly trimmed Canto Bight and was conservative with regards to cutting humor, along with a host of changes and tweaks I had never even considered that drastically improve the pacing. However, for me there are a few scenes I still have trouble watching, scenes that take me out of the movie every time: Leia’s spacewalk, Finn vs. Phasma, BB8 piloting the imperial walker, and Rose’s “rescue” of Finn. These scenes broke my suspension of disbelief and disengaged me from the story. So, with permission, I have used Hal’s edit as a base, and made a few additional changes. John Williams score and other Star Wars sound fx. Hal 9000 (Legendary edit, ideas and guidance), DarthRush (FX shot and ideas), big_gareth (FX shot and ideas), Pleasehello (FX shot), Snooker (FX shot), ChainsawAsh (DTS audio advice and overall QC), MalàStrana (English subtitles; poppasketti conformed for Rekindled edit), jarbear (ideas), RogueLeader (ideas), NeverarGreat (ideas), Ivan Ortega (ideas), ziggyonice (qc), revstevens (qc), Natedug, jeebus, HyperDown, liambrazier, krlozdac, DigMod, stretch009, One69chev, Collipso, LordPlagueis, BMadden, Drakul, StrafeSawdoffe, TV’s Frink, HerekittykittyX, DominicCobb, LordRorek, Imadethisfortheanticheeseedit, Zachary VIII, OutboundFlight, TiMartyn, Handman, Dr. Krogshöj, Nightstalkerpoet, EddieDean, DZ-330, Nd4spd, ChiefWamsutta, Valheru_84, TK-422, Possessed, CourtlyHades296, AbramPT, CarterStarkiller, Cheebo, Snoke&mirrors, Sir Ridley, Anjohan, Kaweebo, Oojason, TheLostJedi, Littlev87, Dat_SW_Guy, Toastedzen, Adywan, Tobar, Arosa1091, Chyron8472, TK251, Bop, Gimpy, LeonardoRamos, Octorox, Jrs81, Bromeo, Iryin01, Noodle_Finger (editor behind a prior edit of TLJ). I used Hal 9000's Legendary edit as a baseline for the edit, conforming my bluray copy to match his edits so there was no generational loss. Some shots had to be taken into After Effects for compositing, but most of the work was done in Premiere Pro. This is a fantastic edit. Really. All of the major changes work amazingly well, and some of them even manage to fix a scene I would have just yanked out of the movie completely or otherwise altered more drastically than you’ve proven necessary. Luke’s saber toss now has emotional weight to it since it isn’t played for laughs through the music, and it feels like it was always meant to be scored that way; the “milking” scene now works as Johnson intended it to without being undercut by the bizarre shots of Luke actually drinking the milk; the over-the-top CGI nonsense of Finn vs. Phasma and BB-8 in the walker are seamlessly extracted and not missed in the slightest; and your version of Finn’s suicide run is simply perfect. And, of course, Leia’s spacewalk - thank you so much for getting rid of the one scene that consistently takes me out of the film in such a seamless way! Anything else that’s been taken out, I didn’t miss. There are bits here and there that I still wouldn’t have left in the way you have, but they aren’t nearly as much of an issue when those are now the worst moments, rather than being surrounded by even worse stuff. Technically, the edit is flawless. I noticed no harsh audio transitions, the video quality is top-notch, and all of the VFX work (both that which is new to this edit like BB-8 during the Star Destroyer escape and everything surrounding Rose’s crash and Finn’s suicide run, and holdovers from Hal’s edit like the caretaker removal) is seamless and professional. On that level, you’d never know this was fan edited at all, and that’s a massively important thing to me when it comes to fan edits. Excellent job! This is now the only non-Hal Star Wars edit that’s replaced the “official” version for me. 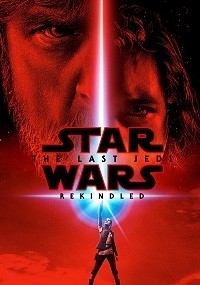 First thing, I mostly dislike every aspect of the original film except the ship battle in the beginning and the final climax between Luke and Kylo. Said that it's really hard for me to give high ratings to this movie whatever how good the edit can be. Overall, it's a pretty solid edit. If you enjoyed the theatrical version (still having some remarks), this is the best edit you could imagine. It vastly improves the original and the excised length (12 min) is wisely chosen. Some audio changes like Luke's throwing the lightsaber or BB8 antics are seamless executed. The 3 deleted scenes added clearly supports the narrative. However, for my taste, a more ambitious cut list (Canto Bight, Poe's mutiny, Fin and Rose infiltration in Snoke's ship) should have been required to rise up my enjoyment. In that regard, I strongly recommend "The Fallen Knight" edit by Zuckerberg. In conclusion, here the faneditor shows fine editing skills and makes SW:TLJ far more enjoyable than the theatrical cut. 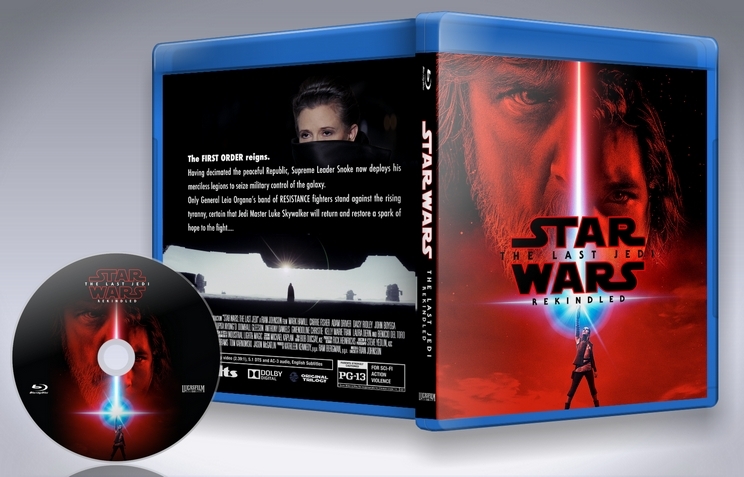 This edit is a must for SW fans!